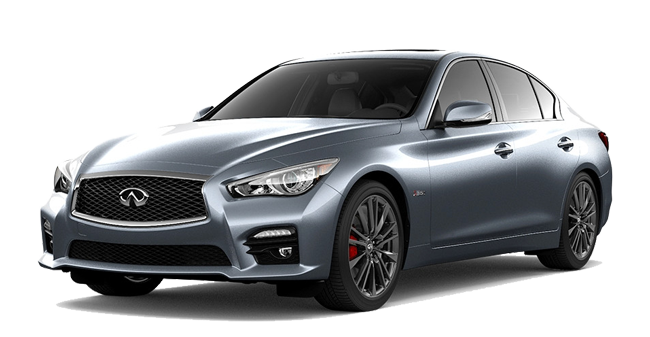 The INFINITI Q50 ranks among the most exhilarating sports sedans on the market. In fact, the 2017 Q50 was selected as a winner of Wards 10 Best User Experiences. To take the Q50’s appeal to the next level, INFINITI gave it a few updates for the 2018 model year. Not only did the 2018 Q50 receive some notable styling tweaks, but it also flaunts a refreshed interior. When equipped with the new ProPilot safety suite, the Q50 becomes an even more secure driving machine. Let’s see how the 2017 INFINITI Q50 compares to the new 2018 INFINITI Q50. In regards to performance, there are no differences between the outgoing 2017 Q50 and the new 2018 model. You have three impressive engines to choose from. With the ability to return up to 31 mpg, the turbocharged four-cylinder engine proves to be a true fuel-saver. If you feel the need for more power, step up to the turbocharged V-6 engine. While the standard version develops 300 horsepower, INFINITI tuned the Q50 Red Sport’s engine to develop a staggering 400 horsepower and 350 pound-feet of torque. When tested at the track, the high-performance sedan ripped a blistering 0-60 time of 4.5 seconds. Like the 2017 INFINITI Q50, the 2018 model offers world-class handling. An adaptive suspension and all-wheel drive are optional. The INFINITI Q50 has always been known for its muscular profile. A sculpted body and piercing LED headlamps help give the 2017 INFINITI Q50 a breathtaking appearance. While the entire lineup looks stunning, the Q50 Red Sport packs an extra degree of aggression. High-performance exhaust tips and exclusive wheels help distinguish it from the other trims. You will also notice the Q50 Red Sport’s s colorful brake calipers. Although the 2017 Q50 and the 2018 Q50 may look similar, there are some obvious differences. The 2018 Q50 boasts an enlarged front grille and new bumpers. These styling changes further enhance the sedan’s chiseled look. Boasting a five-star safety rating, the 2017 INFINITI Q50 is hands-down one of the most secure cars in its class. It provides exceptional crash protection for everyone in your family. Because the 2018 Q50’s structure has not changed, expect it to earn yet another top safety rating. A number of advanced safety technologies are available. It is among the few sports sedans in the segment that currently offers Backup Collision Intervention. Meanwhile, INFINITI’s forward collision warning system can predict an accident two vehicles ahead. Some of the other safety innovations include blind-spot monitoring, adaptive cruise control, and a surround-view camera. INFINITI has introduced a new ProPilot safety suite for 2018, which bundles together several autonomous driving aids. Expect the revamped 2018 INFINITI Q50 to continue to trample the competition. 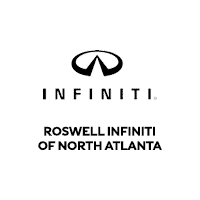 To experience how the 2017 Q50 stacks up to the 2018 Q50, stop by Roswell INFINITI to take both models for a test drive.